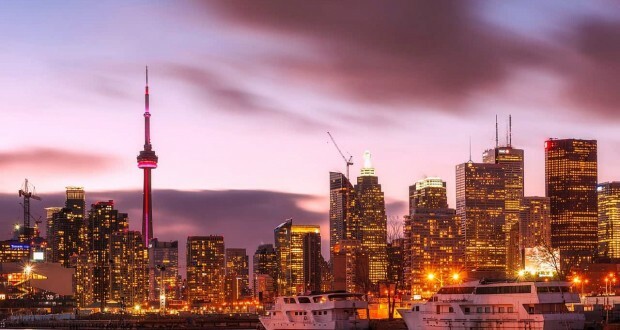 Toronto is the largest city in Canada with a population of over 3 million. The moment you walk down these streets, you’ll feel the energy of multiculturalism. But with so many neighbourhoods and things to see and do, it can become overwhelming for a newcomer. As a traveller myself, I always come back to this city with little to no money in my pocket, but luckily this place they call the ‘Tdot‘ always has something going on for super cheap. One of the best ways to escape the hustle and bustle of the city is to take a ferry to the Toronto Island and enjoy the serenity. Offering endless amounts of parkland, beaches, BBQ’s, and bike paths, this is hands down one of the best places to chill out with some friends and enjoy the great outdoors. For a mere $6.50 you get a ferry ride there and back with a priceless panoramic view of the city skyline. I highly recommend Hanlans Point which is much less busier than Centre island and where all the cools hang. 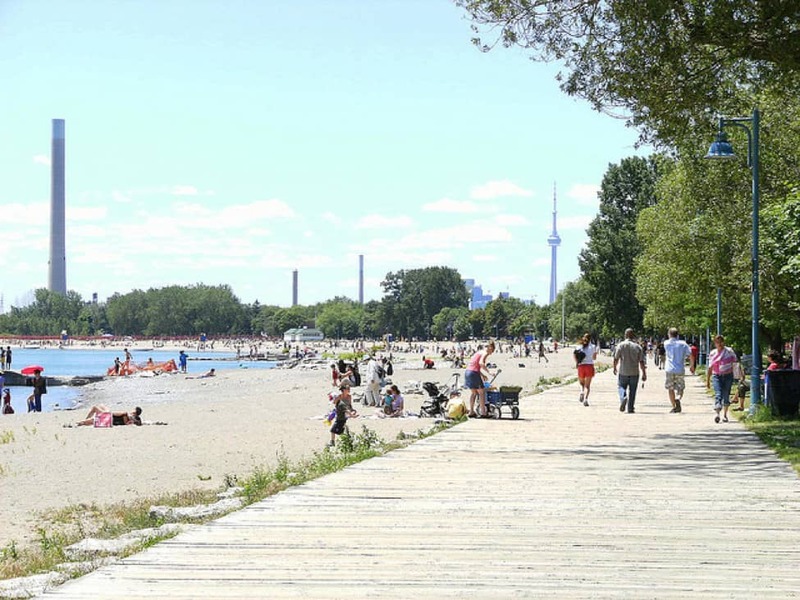 ‘The Beaches’ is an east-end Toronto neighbourhood that has a fantastic boardwalk which will take you along this seven beach stretch. I recommend biking, blading or taking the TTC Queen Streetcar, which offers a cheap tour of one of Toronto’s most famous streets. Be sure to check out the cute shops and eateries along the way. If you’re here in the summer and really want to experience the Toronto sports scene for cheap, go to a Toronto Blue Jays game at the Rogers Centre (formerly known as the Skydome). A great place for a tweetup or outing with a group of friends, you can usually score a seat in the nosebleed section for under $15. Plus if it’s a nice day they’ll open the rooftop which gives you a stellar view of the CN Tower. 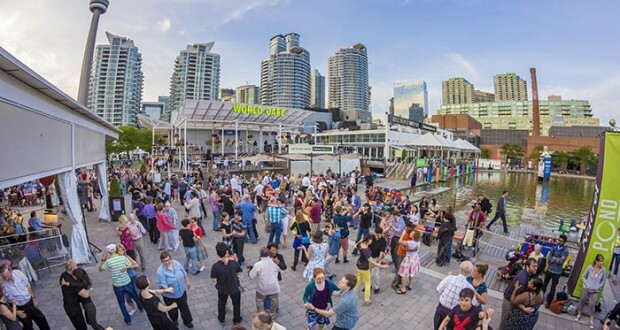 The Harbourfront Centre has got something going on every day of the week and any time of the year. 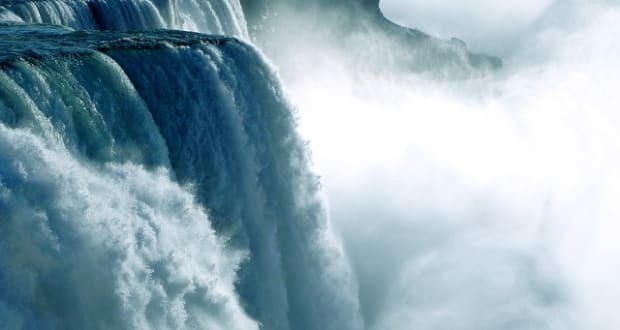 Located along the shores of Lake Ontario (just steps away from the CN Tower) it offers a variety of cultural activities to the public free of charge and a stunning 10-acre pathway with cool art installations, parks and heaps of cool things to take pictures of. Check out Toronto’s hippest neighbourhood where you can get everything from fresh fruits/veggies to organic fair trade coffee. Hands down this is the BEST place in Toronto to find a bargain. It’s got that funky, retro, mismatched furniture vibe reminiscent of Melbourne’s Fitzroy. If you like vintage, you’ll LOVE Kensington. Bloor West and Queen West are the best places to find live music on any given night. This is where most indie bands get their start, and you’ll find some of the cheapest beer and restaurants along these strips. If you’re a culture or art buff, then visiting the Art Gallery of Ontario is an absolute must! It houses over 36,000 works of art in its collection and after recently receiving a facelift, it’s looking sexier than ever. If you’re there on a Wednesday, admission is FREE from 6-8:30pm. If you like Museums, check out what else Toronto has to offer. Toronto is the ultimate media hub of Canada offering free tickets to attend live tapings for television shows at any time of the year. I recommend checking out MTV Live which is a half hour comedy show that tapes at the Masonic Temple- a building itself with a lot of history. If you’re close to the CN Tower, check out The Hour which tapes at the CBC. While you’re there, enjoy the free museum and learn about the history of Canadian TV. 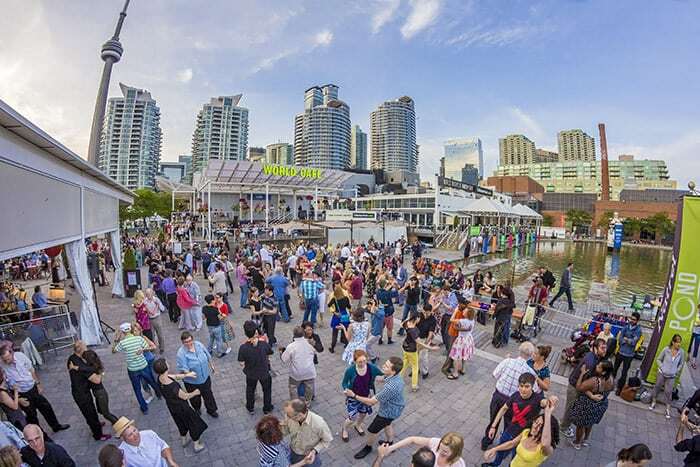 Toronto has two really awesome Squares where you’ll find tons of festivals and free outdoor concerts; Natahan Phillips Square and Dundas Square. If you’re here in the winter, be sure to rent some skates and try the outdoor rink at Nathan Phillips. It’s especially pretty at night and a great way to spend New Years Eve. Dundas Square is like the ‘Times Square of Toronto’ with heaps of billboards, flashing lights and people. Located at the heart of the city, the square is across from The Eaton Centre which is Toronto’s major shopping outlet. I’m a big fan of the four-way crosswalk…and trust me you will be too! 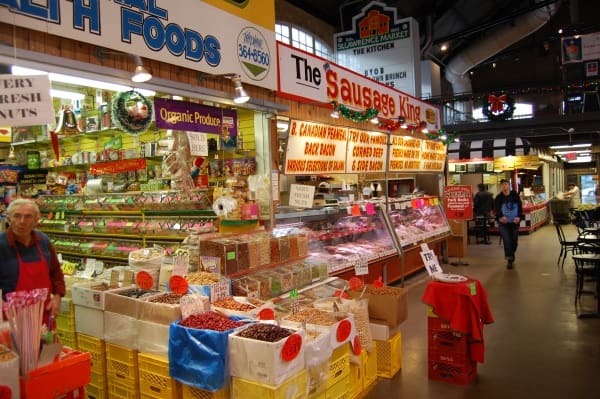 If you’re a serious food buff, then be sure to head down to the St. Lawrence Market. This bustling marketplace is a great place to wander, taste samples or just sit and watch people interact. It is one of the city’s oldest buildings with a very European feel and look to it. it’s hard to beat such a large selection of fresh produce, cheese, breads, and meats in one place. The best time to go is the weekends, but get there early to score the freshest foods and avoid the massive crowds. I’ve searched the internet for some great hotel deals in Toronto right now. Take a look.